With Christ as its head, there is tremendous hope for the Church. As we help to refocus on the Lordship of Christ, and hear the voice of God corporately as a church, in His presence there comes a confident expectation that God will fulfill His promise to make His manifest wisdom known through the Church. With Christ as it’s head, there is no reason for a church to plateau, decline, or fail. Christ desperately wants to help your pastor and your church to abide in Him, and He in you; He stands at the door knocking, inviting your church to times of refreshing in His presence. 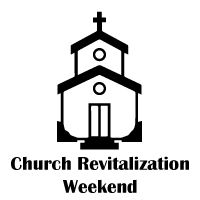 The church-wide weekend ministry is conducted by a trained team of BMI volunteers (size of team is dependent on the size of the congregation) led by our Director of Weekends. Sessions occur on Friday evening, Saturday morning and Saturday afternoon with a concluding service on Sunday morning. For more information, contact Bob Payne via email at b.payne@blackaby.org or by phone at 678-200-2855.